A blog post starting with Ziggy Marley may seem off topic, but no worries, it will be about packaging. Have you noticed coconut water is much more prominent at supermarkets now? Health claims for coconut water contribute toward driving the momentum of the coconut trend, and it seems there are more and more companies launching new coconut water drinks. A few weeks ago at the 2012 Expo West Natural Products show I was amazed to see so many new coconut (and also hemp) products that have popped up to chase these latest trends. Products such as coconut spreads, coconut palm sugar, hemp granola bars, hemp shakes, hemp protein and hemp oil were all around. 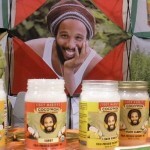 Ziggy Marley even launched products for both Coconut (Coco’Mon) and Hemp (Hemp Rules). But what, if anything, does this have to do with packaging? Trends come and go, and in the natural products world it seems we always have some sort of new and exciting superfood, superfruit or superseed. To win the packaging race, packaging must keep up with the current. We all know packaging is often the first point of contact between a brand and a consumer (remember P&G’s FMOT?). Packaging has an incredible influence on what consumers choose to buy. For example, if you’re a chocolatier, our cacao-paper packaging is already in the sweet-spot with chocolate lovers. 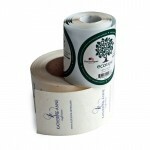 And if you sell hemp products, why not use our manila hemp labels from PURE Labels? 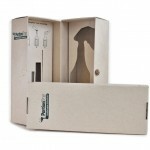 In order for packaging to be relevant for emerging new natural products, Distant Villageuniquely positions to rapidly develop solutions that reinforce brands through innovative packaging. We do this to connect with the products inside. Back to coconut and hemp…. The natural products world is going gang-busters on these new items, and Distant Village has go-to-market packaging solutions ready-to-go! Boxes, bags, papers, ribbons and labels made with cocoa papers from cacao plant fiber are just the beginning (coming soon – wild flower “growing seed paper” labels). Our design team will create packaging to match your brand and specific dimensions and requirements to precisely match your product. At Distant Village, we understand small to medium specialty businesses – because SMB’s are our exclusive focus. If it is not coconut or hemp, but some other exciting natural product you’re creating products with, and you seek amazing impact from your packaging, let us know how we may help. Who can predict what the next natural product trend will be? Maybe Ziggy Marley can. Whoever it may be, Distant Village’s expertise in packaging brand design and production is standing ready to create a solution for you. 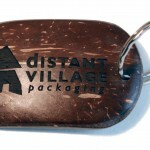 So when the next coconut, hemp, cacao, green tea, spirulina, coffee or whatever trend comes along, you can count on Distant Village to deliver your natural branded packaging experience and launch your product ahead of the competition. Distant Village designs custom handmade sustainable packaging and produces PURE Labels™, a world leading sustainable adhesive label. 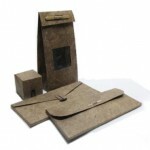 We produce packaging with an authentic sustainable brand message. Distant Village was founded in 2000 and is a proud member of Green America, Social Venture Network, and Fair Trade Federation. Hi Have a new bath seletion coming out soon. Most bath toys come in nastie plastic net. 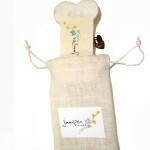 We would like to use natural packaging. Can you make coconut net bags? the size will be around 140×100. 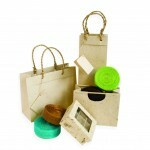 i wann to create awareness about paper bags , keep city eco – friendly . pls send me some ideas..